In case you're unfamiliar, red velvet cake is always colored bright red. Kinda like they rendered down some of Elmo's lesser-known kin into a food coloring base. The flavor is often called a cross between a chocolate and a yellow cake. But all of the best ones that I have had -- in terms of both texture and flavor -- have been more like a lightly cocoa-flavored version of a pound cake. Really dense, rich and buttery. The cake version is always topped with a cream cheese frosting. And do I really have to say more than cream cheese frosting?! Well, when I saw this flavor I simply had to try it...although, to be honest, I have yet to find a chocolate yogurt I have really liked. Something about chocolate and yogurt just doesn't seem to work for me (though I love chocolate frozen yogurt, so figure that one out). Well, first, let's talk about how it looked. I wasn't expecting the bright rendered-Elmo-relative red of an actual slice of red velvet cake. This shade, however, is a very familiar pink. Familiar as in Pepto-Bismol pink. Or perhaps aging Barbie pink would be a better way to put it. The flavor, thankfully, is far and away better than the color. The best way I can describe it is to tell you it's like raw birthday cake batter mixed into yogurt, with just a little touch of chocolate. Maybe that doesn't sound like it would be good...but it sure is! It has a strong, buttery yellow cake taste (hence "birthday cake"). Right after the sweetness of the cake flavor wears off, the tang of the yogurt takes over. It really is the perfect hybrid of flavors. 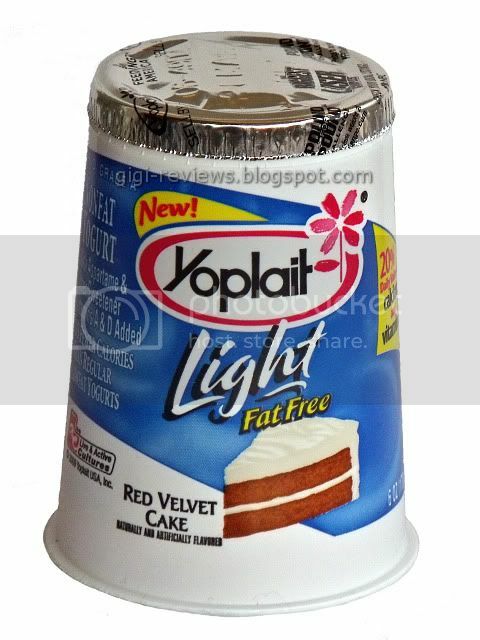 The yogurt tartness keeps the sweetness of the cake flavor from seeming to be too artificial. The sweetness is just enough that it makes you feel like you are having something that is sinful -- even if you're not. The texture is uniformly smooth. There are no chunks, cake pieces, or swirls of frosting (not that I would have expected them). 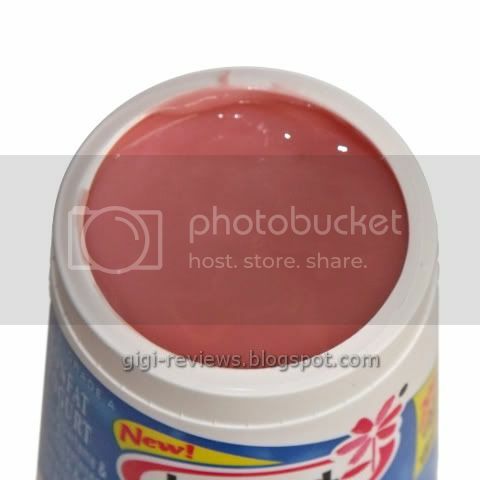 It is thinner than full fat/calorie yogurt, yet not so thin that it seems more like a dip than a real yogurt. Whether you are watching your diet or not, this is just damn good yogurt! Your description of what it tastes like is really what I was expecting but for me it really didn't taste like much of anything but sweetness. Meh. I think red velvet cake (in cake/cupcake form) is WAY overrated. This yogurt tasted.....pink and sweet. I've been looking for this everywhere, but no one has it here. Hopefully I'll find some soon since it seems like a winner. I do have to agree once again that it is sweet. I still like GOOD Red Velvet- the problem is that most of the time it's just meh.